What are the biggest challenges women in business face and what can be done to overcome those? It’s exciting to see women aiming for and winning leadership roles especially knowing the challenges they’ve had to contend with along the way. Even though most organisations are putting effort into building gender balance, there are some things women will still face which men don’t. So, what are the issues and what can be done about them? US company, PEW Research Center reports women are held to higher standards than their male counterparts. They need to do more to demonstrate their abilities than men. A survey by The Australian newspaper reported the same results, with around 79% of women saying they also had to prove themselves more than their male colleagues. This plays on weaknesses most women have, which is the reluctance to self-promote or to ask for what we want. Don’t hold back and wait for your achievements to be noticed. Speak up and show what you’re good at. Demonstrate how you meet the standards and indeed exceed them. Above all, call out double standards when you see them. Until you do, they’ll go unnoticed, but when you reveal them you may find your male counterparts become your biggest allies in your fight. When you realise these results were collated from the opinions of the general public, you can see how big the stereotyping problem really is. Men do the business, women do the caring. Women have the skills to do what’s regarded as extraordinary. The more women do it, the more common it will become, and public perception will gradually change. But it won’t take just one or two women to step up. They only become ‘exceptions to the rule’ and, in many cases, are pointed to as evidence that there is no gender problem. This is a long-term problem with a long-term solution and we all need to play our part in bringing in the change. Men have a way of doing things which includes building alliances, sourcing votes before meetings, and preparing their positioning beforehand. There’s nothing wrong with this. It’s all about strategy, like playing chess and getting your pieces into the right spaces. You can’t win if you don’t play the game. Give yourself a fair chance. Learn the strategy and use it. More women than men end up leaving work to raise a family. It shouldn’t be a case of child or career. Men don’t usually have to make the same choice. Women who take leave or finish work to have a child need to plan their workplace exit and re-entry carefully. Stay up to date with technology and workplace changes and maintain contact with your networks. In general, women are more cautious about risk than men and often question their own judgement. Men take risks, confident they’ll handle the outcome, no matter what it is. You’ll never move forward if you’re not prepared to take a calculated risk on occasion. Remember, you’re taking it for a reason – to achieve an outcome. Learn to focus more on the outcome and less on the risk. 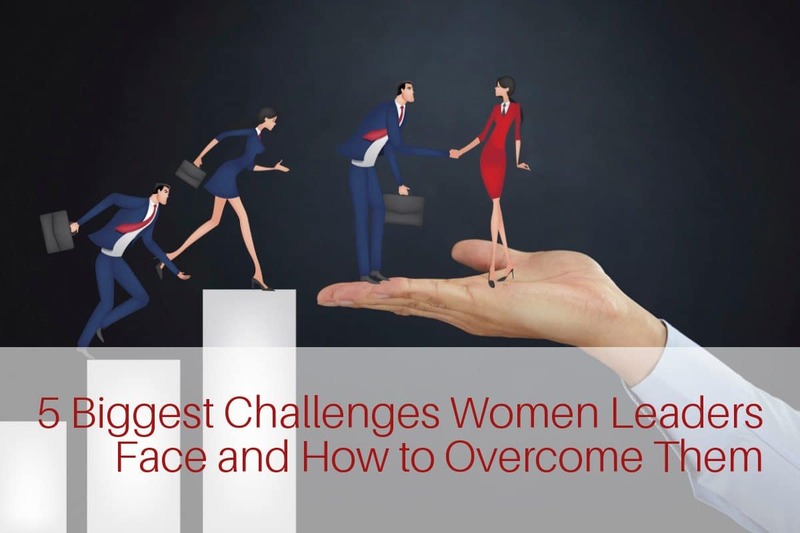 Of course, there are a lot more challenges to women’s path to leadership than we’ve covered, including harassment, lack of role models and our own ability to hold ourselves back. These are challenges most women face on a daily basis. With any conversation, it’s important we don’t just point to the challenges. If it’s perceived as complaining, no one will listen. Instead, we need to point to the solutions and act on them. We must do it for ourselves and show what women are really made of. It takes only one person to get change happening. Why not you? For more insights by our wonderful team at Empowering Ambitious Women, please follow us on Facebook and Instagram.